Thomas May design, handcraft and install bespoke interiors and architectural joinery. 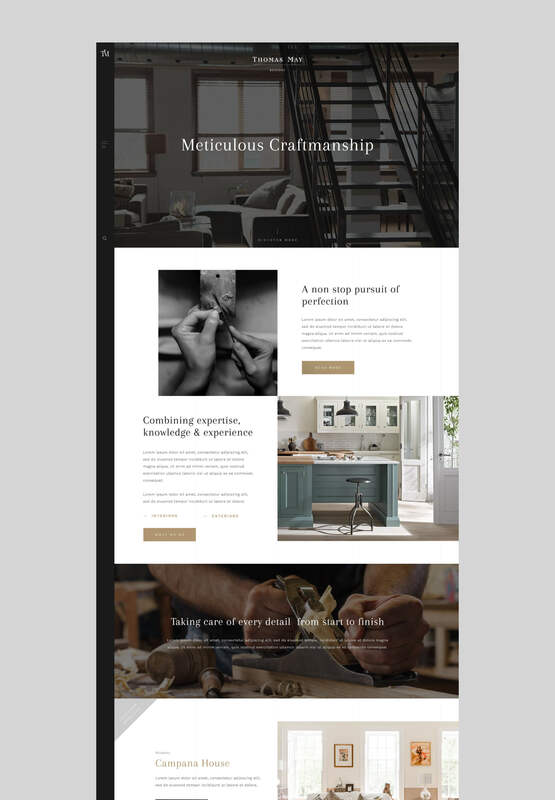 The brief was to create an innovative, stylish and elegant site to reflect the high end craftsmanship & quality of products produced at Thomas May. We created a highly visual site design making use of beautiful typography treatment & stunning photography to showcase the quality of the Thomas May portfolio. The project, since its launch, has received international recognition from a panel of industry leading experts at both the CSS Design Awards and Awwwards.